IT’S been “frustrating” but Garland Greene has finally made his way into the winners’ circle. Having his 14th start – and seventh for trainer Stephen Cini – Garland Greene has shown promise but has been unable to produce on race day according to the horseman. “He’s got the ability, but just has to bring it to the races,” Cini said. “Darren Hancock had him in New South Wales and felt he could win his races, but just wasn’t putting it together. 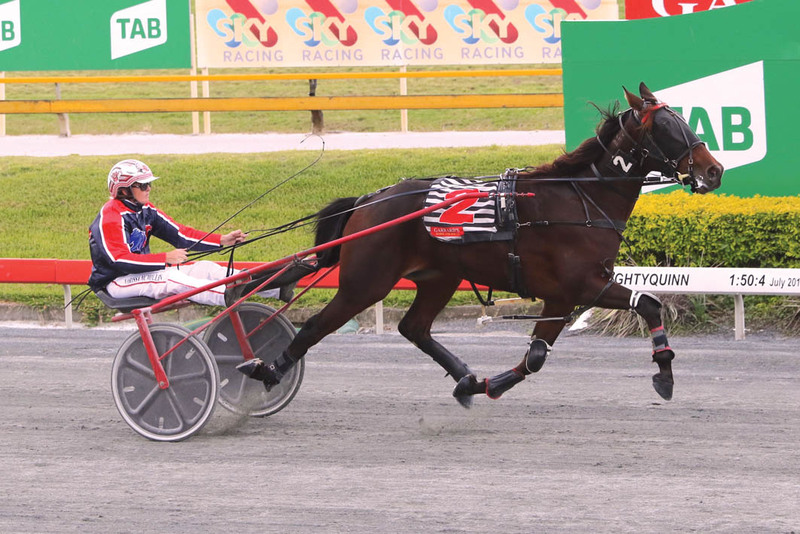 “Because he wasn’t earning at Menangle the owners thought they’d give him a go in Queensland. With Narissa McMullen holding the reins Garland Greene began well to settle in the one-one, albeit 10-metre behind Go Ahead Makemyday, which settled outside the leader, Day Tourer. As the field began to stack up, Garland Greene was sent forward to test the front runner from the ‘death seat’. Dashing to the lead leaving the back straight, the squaregaiter cruised to a 10-metre victory from Jeddy R Ya Ready, with Day Tourer five-and-a-half metres away third. “He went well,” Cini said. “He wasn’t qualified from then stand when I got him, so it’s taken a bit of time for him to adjust. “He is quiet, but just inexperienced, so I will race him as regularly as possible to get his confidence up. Named after a fictional mass murderer from the movie Con Air, Garland Greene rated 2:01.7 over 2138 metres.